I love reusable shopping bags. I will fully admit that I am an addict. I have them in every size, shape and color. 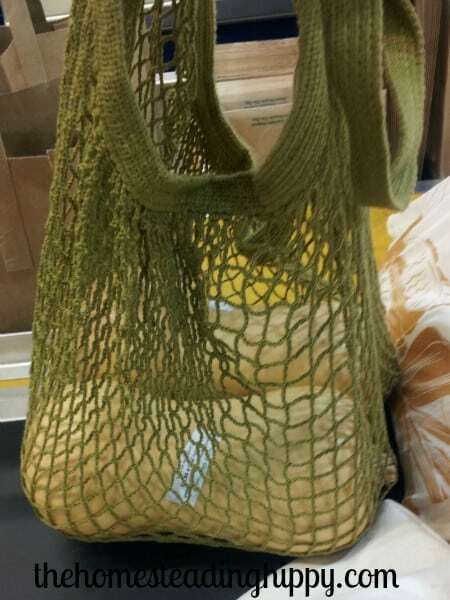 As we all know, reusable shopping bags reduce the trash that plastic bags create. And, I love them. But, they never really lasted very long. A few trips to the library or the grocery store and a washing or two put them to the ultimate test. And many of them failed. They were a big sponsor of the #Wowsummit that I attended, and we each got one of their gorgeous canvas bags to carry our goodies in. I just knew they were a company that I could work with! And I was so right! 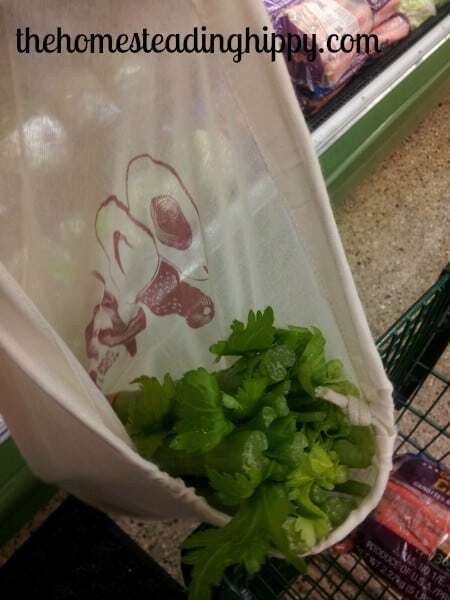 I was so honored to be able to get some of their other reusable bags to shop with. 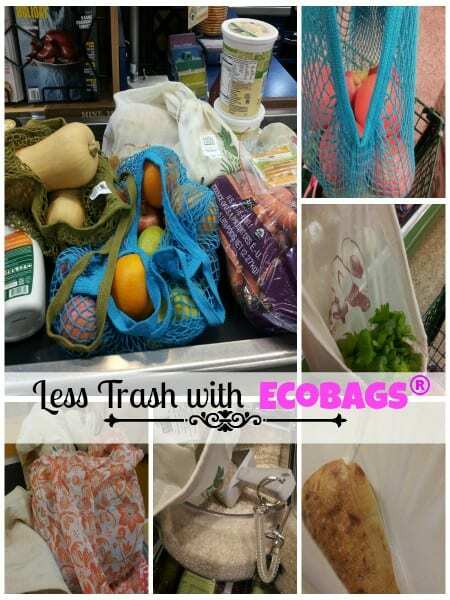 I want to show you how my family of 5, which includes 2 hungry teenagers and a little brother trying to keep up, can easily shop with less trash using their awesome system of bags. My trip was at Whole Foods near us, and spending less than $100 on a week’s worth of food. I received two of their net bags. I loved the long handles, and the ability to carry them on my shoulder comfortably. 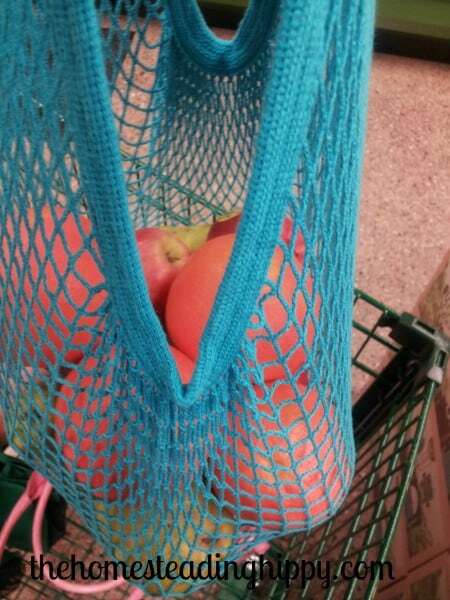 This is a big deal to me, especially at the farmer’s markets when I want to keep my hands free. But, what was I going to put in them first? Produce, of course! 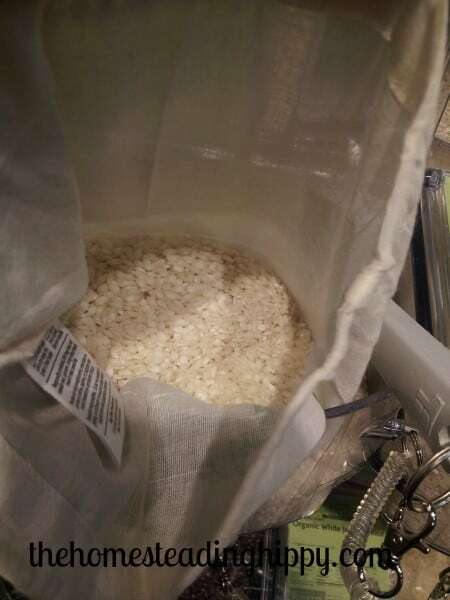 They have some really cute, 100% cotton bags with easy to close drawstrings that I just couldn’t decide what to put in them first 😉 So, celery and arborio rice won out, as I need to make broth and risotto. 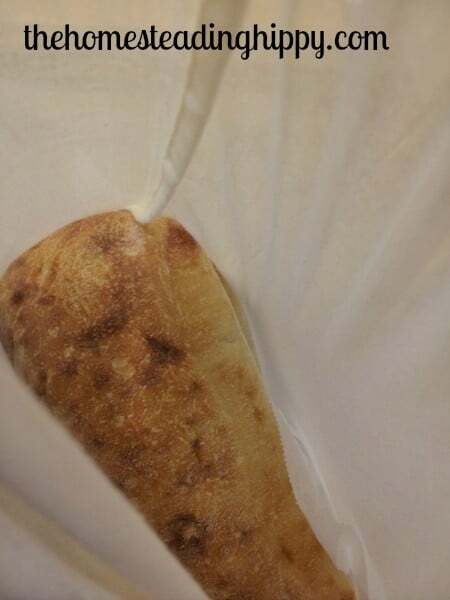 Their 100% cotton bread bags are perfect for buying bread in bulk, and they can hold up to 4 loaves of ciabatta bread. I got lots of comments at the checkout about how “cute” the bags were, and how easy they were for the cashier, since the tare weight was right on the tag. The net bags garnered some “ooohs” and “aaaahs” as well. Why wouldn’t they? They are cute, durable, and lightweight. I will be making some risotto with roasted butternut squash, squash soup, chicken soup, lots of nourishing bone broth, grilled turkey and cheese sandwiches, and even some carrot cake! These bags made shopping fun, and I never thought I would say that! Thank you to Eco-Bags Products for sending me some of your awesome bags to review! They are definitely going to go the distance in my family! You can purchase some for yourself here. These are very cool bags. We use reusable bags for everything!